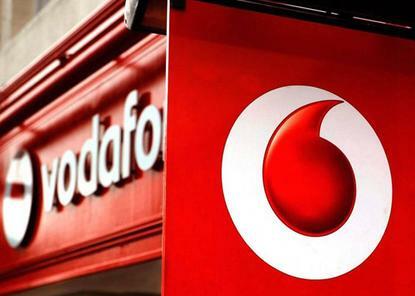 Vodafone falls foul of regulator for allegedly misrepresenting service as full fibre. Vodafone charged with misleading marketing for FibreX broadband service. The charges relate to conduct in the three regions where FibreX is offered - Wellington, Christchurch and Kapiti - between 26 October 2016 and 28 March 2018. The Commission alleges that by naming its broadband service “FibreX”, along with its advertising of FibreX on billboards, radio, in-store, online and in direct-marketing, Vodafone misled consumers into thinking that FibreX was a full fibre-optic broadband service like Ultra-Fast Broadband, when it is not. Vodafone said it is is disappointed by the approach taken by the Commerce Commission. "We disagree with the charges laid by the Commission and welcome the opportunity to defend the naming and marketing of FibreX and reinforce the benefits of this service," the company said in a statement. "We had a vision to provide consumers with an alternative way to receive super-fast reliable broadband that would also be more affordable and offer a better installation experience. We delivered that through a significant investment in our own hybrid fibre coaxial (HFC) network. "We think this type of investment in infrastructure is good for New Zealand. It promotes competition and gives consumers choice, and we are surprised the Commission does not appear to welcome that." Vodafone said it had been clear in its communications to consumers. "In 2017, the Advertising Standards Authority looked into our advertising of FibreX and ruled it was not misleading. They noted that consumers are more interested in the speed than the technology behind their internet service, and that FibreX performs to a comparable standard to other fibre access technologies." Vodafone said coaxial cable and copper are two different things. FibreX is ultra-fast broadband that runs on the HFC (hybrid fibre coaxial) network, which uses fibre up to the street cabinet, and then coaxial cable to the home. "Coaxial cable is very different from copper, which ADSL and VDSL run on. Copper performance degrades over distance, whereas coaxial cable doesn’t have this problem and supports much higher speeds and greater capacity." The case will be called in the Auckland District Court for the first time on 22 May 2018.